Nowadays it seems you can buy everything from a vending machine - DVDs, iPods, salad… now you can add wine to the list. 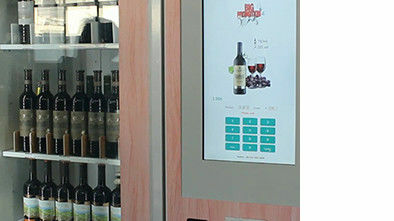 How to purchase wine on Winnsen vending machine? 1. Click “Purchase” on touch screen. 2. Select wine and click to read detailed information. 3. Pay by coin, bill or credit card. Why need Winnsen wine vending machine? 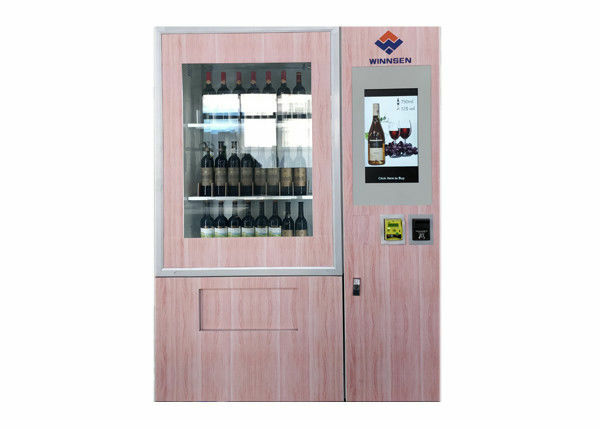 Winnsen wine/beer vending machine can be deployed in nearly all public places such as shopping malls, individual shops, sports sites, airports, hotels, municipal facilities and etc. We can design the ideal vending machine for your company, incorporating the exact hardware specification that you need. Send us email today for detailed information.